We have some new equipment coming in (on 5/15) and need to get rid of some machinery fast. No reasonable offer refused for any of the equipment. Table size: 2' x 30' (in three tables that connect together, currently setup for 2" x 10'). 10hp HSD Spindle w/ ISO30 toolholders for quick tool changes. Includes 1 vacuum for core hold down. Runs on WINCNC controller via PC interface. Rapids at 1000 in/min, cuts 600 in/min+ daily. Helical rack and pinion on the long axis. Includes a second Z head for auxiliary tools. Will reduce price by $3000 without HSD spindle (add your own). Table size: 2' x 92". All ball screw linear motion, extremely accurate. Rapids and cuts at 500 in/min. 10hp HSD Spindle w/ ISO30 toolholders for quick tool changes. Includes 1 vacuum for part hold down. Fully retrofitted Mach 3 controller with Ethernet Smoothstepper for fast and reliable machine control. PC interface. 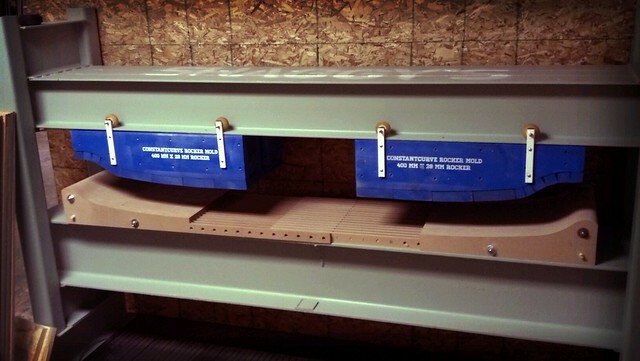 Cavity is 16" x 16" x 96", lower beams are 12" tall. Includes Single 9" bladder, steel cat-track, 1 set of molds. Just add compressed air and you are pressing! Add $300 for a dual heat controller. 150 mm stone. 6" x 80" belt. Great dual purpose machine for a small shop (on casters). Again, everything is OBO, don't be afraid to bring an offer. 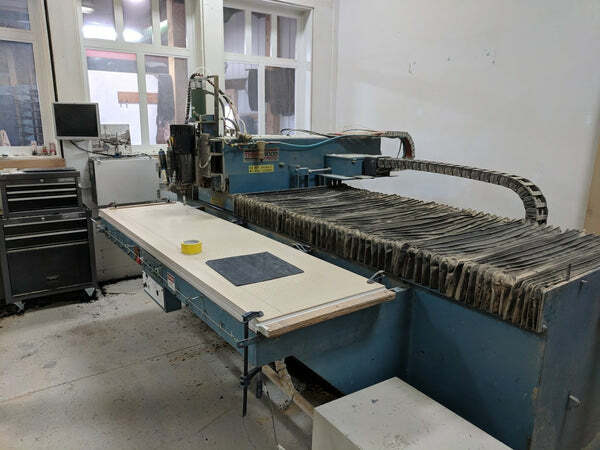 CNT Motion CNC Router is sold. $5900 fully functional with 10hp ISO30 spindle and hold down vacuum. 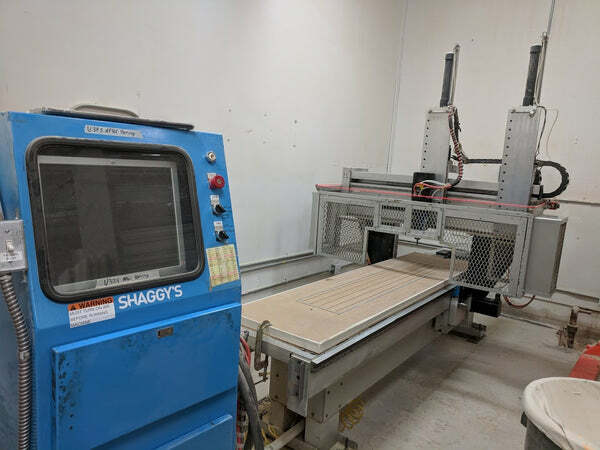 Thermwood CNC Router is sold!